The goal of the project is to build a better sensibility of hand interaction with objects and to investigate how objects are assembled. I chose Black & Decker Lid off Automatic Jar Opener as my object. 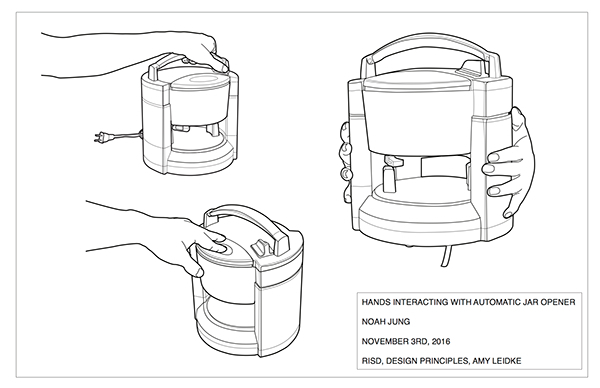 I drew an illustration of how the jar opener interacts with hands and exploded view of the jar opener.